The colour of life. The colour of nature and renewal. The healing properties of green can enhance vision, stability and endurance. It is also the corporate colour of our main sponsor, The NAGICO Group. 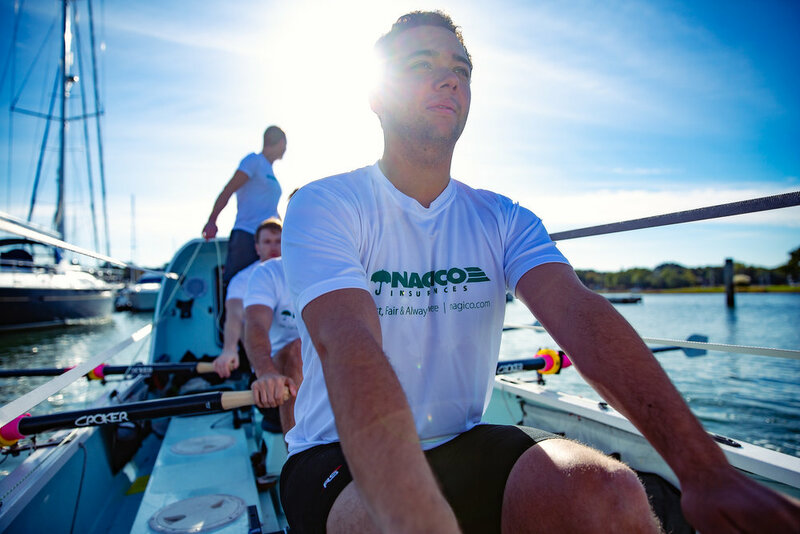 Based in the Caribbean, the NAGICO Insurances Group is no stranger to endurance in the face of adversity. In 2017, the islands were devastated by Category 5 hurricane Irma, one of the the strongest Atlantic hurricanes on record, followed weeks later by hurricane Maria, causing numerous fatalities. NAGICO’s Group Chief Strategy and Development Officer Kyria Ali told Atlantic Discovery about the catastrophe and the impact on the people across their territories. “Despite these darkest of moments, when we were all surrounded largely by despair, NAGICO proved that we are a group that can be trusted to deliver to our stakeholders. 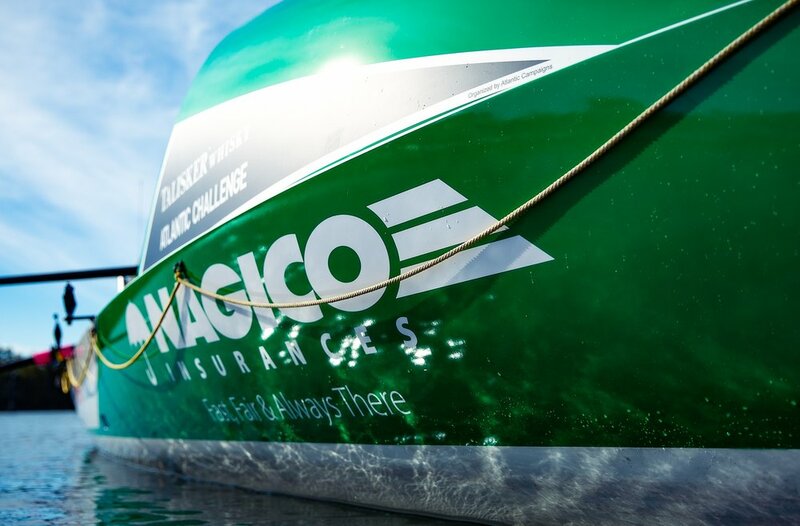 “We have chosen to back Atlantic Discovery’s exceptional human endeavour because it resonates so closely with NAGICO’s story. “Atlantic Discovery is taking on a challenge that to the average person seems impossible to achieve. 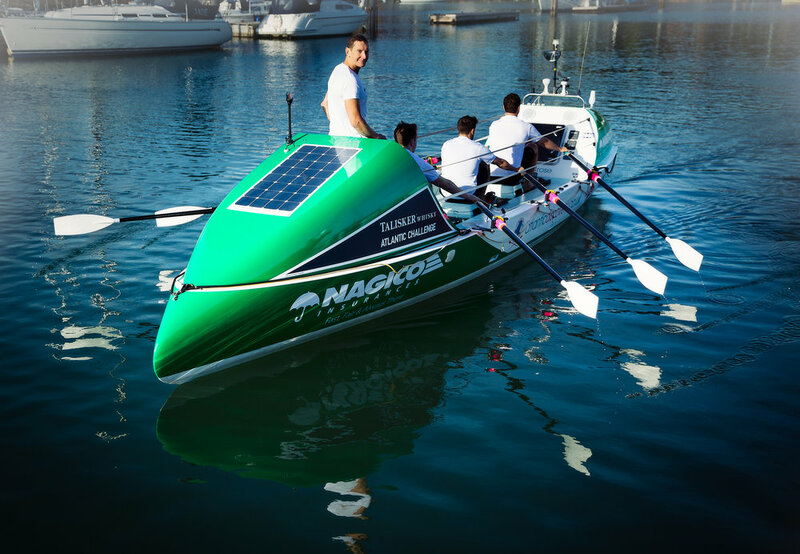 The team will be rowing for two hours on, two hours off for about 40 days, making their own water, eating rehydrated ration packs, sleeping 90 minutes at a time in two small cabins, facing the elements and enduring the full might of the sea. Speaking on behalf of the team, Cam said the alignment between NAGICO’s values and the team ethos was the factor that made the partnership a reality. This weekend, we were blown away to see our stunning ocean rowing boat Ellida for the first time, delivered beautiful, smooth and shiny from Grapefruit Graphics (thank you Emma! ), emblazoned with our sponsors logos. She has been renewed, and is green for go! Ellida was light painted by pennybird and camera to set off her amazing new wrapping to best effect.